When I lived in my old townhouse, I was so shy to share certain rooms in my house because of all the psychedelic wallpaper and for the most part. All the bathrooms had some type of problem. I know I should not complain, but that is the truth. Here in the new house it is another story…the walls are all neutral in color, I have great lighting, and best of all, NO wallpaper. Everything in this home is a blank canvas. I know I said I would do not have any intentions of painting any walls, but I needed to shake things up (a little) bit in this house. After teaming up with Ace Hardware, I decided to visit The Paint Studio to get some inspiration for a paint color. 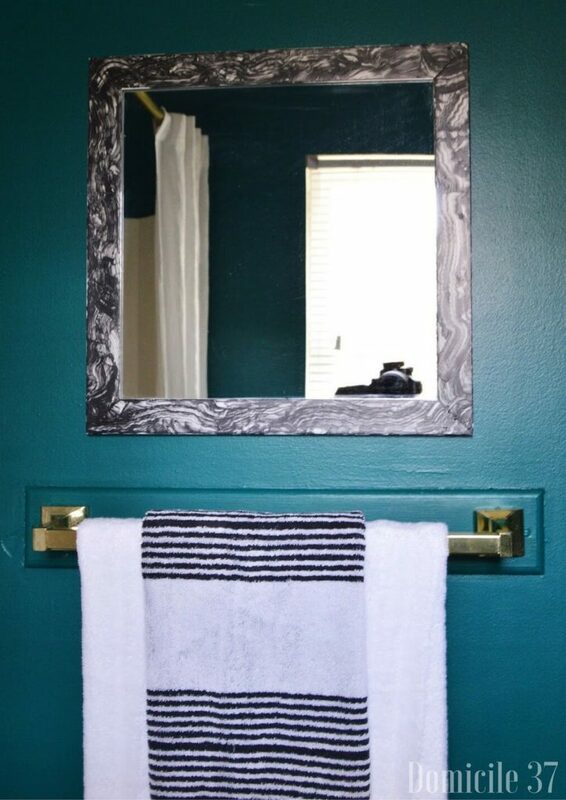 The color I chose to go with is Valspar’s, Planet Earth and the room I chose to paint was the master bath. Let’s talk about the color “Planet Earth”…it is vibrant, soothing, moody and a perfect color to make a statement. It is also one of the colors for this month’s Ace Hardware 31 Days of Color campaign. I REALLY like this color, so much so I decided to DIY a bathroom shelf and paint the back of the shelf using Planet Earth. I know this color selection may come as a shock to some, but it should not. 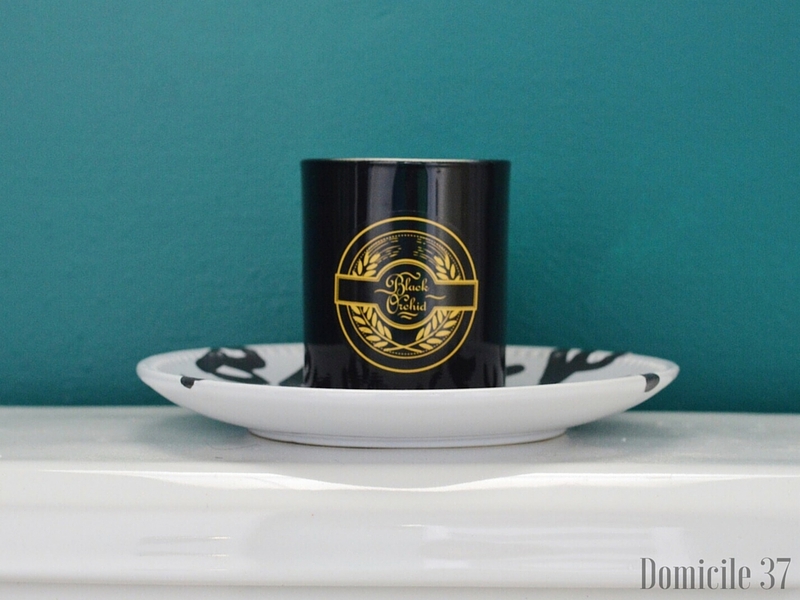 Although not black (my go-to color) this color is rich in a way that it gives off the moody vibe that I love but it is not overpowering in this small space. When the sun shines in this room, this room feels a ton lighter than it actually looks. I also like the fact that this color compliments all of my favorite colors so making seasonal home decor changes will be a breeze. While I was searching for some inspiration at The Paint Studio, there were so many other colors that caught my eye — Colors that were so on point with my style and that I typically gravitate towards. I may have to save those paint inspiration colors for other projects. You should check out the colors that they have featured for the 31 Days of Color Campaign. You can also enter their sweepstakes for a chance to win $10,000 and daily gift cards! 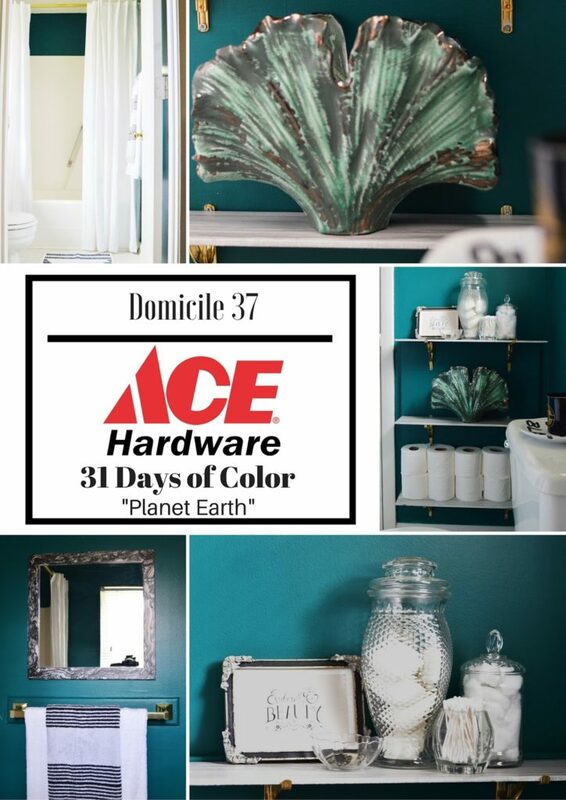 For more details on this color, please visit Ace Hardware’s Paint Studio, where they will be uncovering a new color each day for Ace Hardwares 31 Days of Color. LOVE that color! It's rich and moody and cozy and perfect. Nice pick! I knew you would, the color is Gorgeous….it would look great in your home too! What a beautiful color! 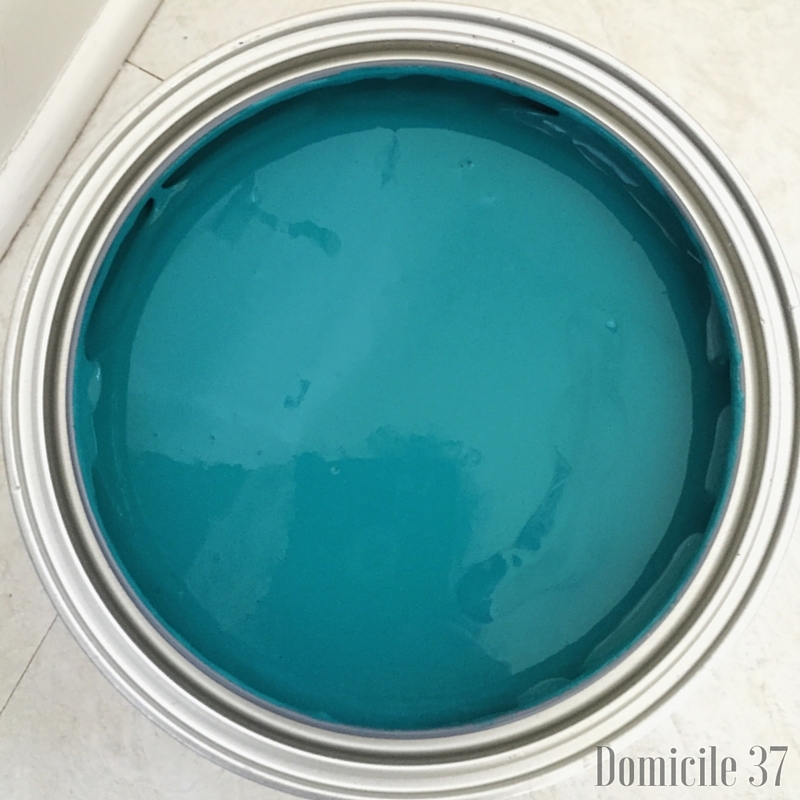 It reminds me of the color I had custom matched at Ace to my vintage copy of Little Women! So gorgeous! Thanks. This color reminds me a little bit of the new Oz movie with Mila Kunis. Love the moodiness of this color! 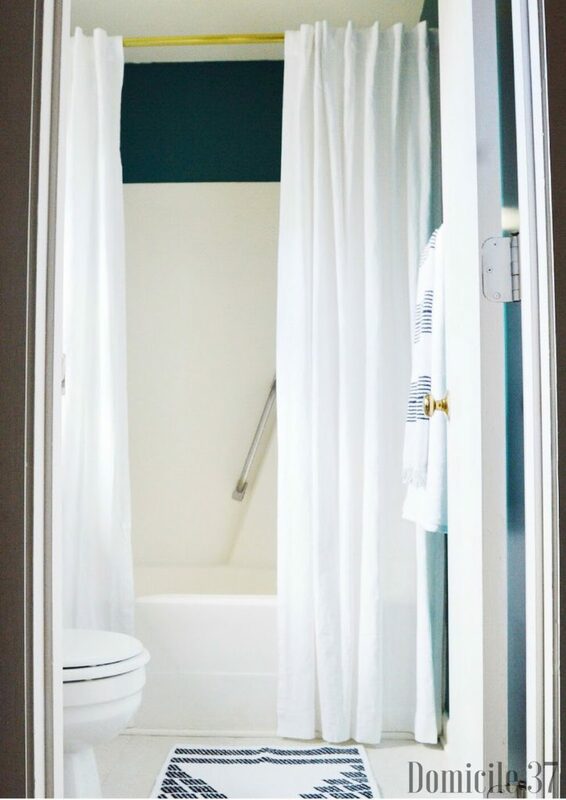 I'm all about bright whites; but having a little retreat (like a bathroom) that's filled with rich color always makes me stop in my tracks. Beautiful! That color is gorgeous! It's so rich and moody but soothing so it is perfect in the bathroom. The jewel tone gives me a royalty vibe. Such a rich pretty color! 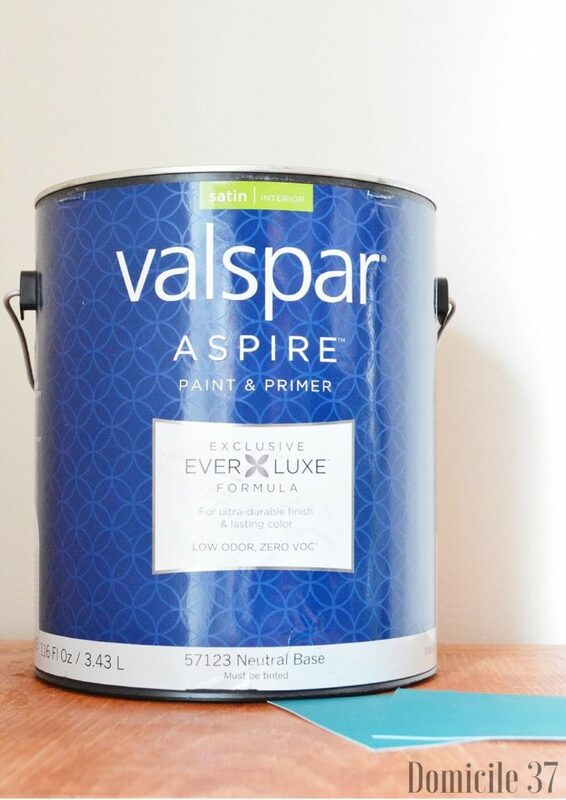 We've used that Ace Valspar Aspire before and really like it! LOVING this color Jess. It is truly amazing and I want to paint something with it now!! Your bathroom looks so gorgeous now. Jess, that blue is to swoon over! i am totally in love with that color, im def… going to paint something. It inspired me. You do beautiful work. That is SUCH a pretty colour! You're right, on point! Loving your bathroom update!